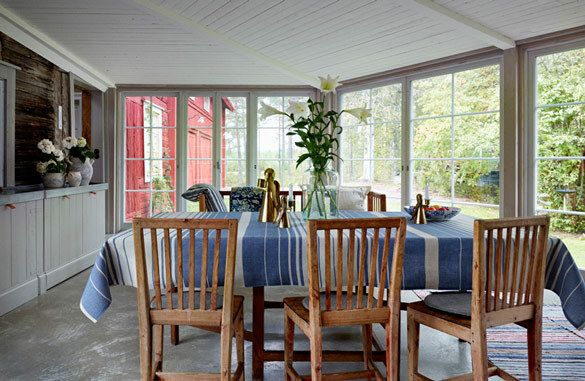 This lovely house is located in Sweden and it’s a quiet retreat with an interesting interior décor. 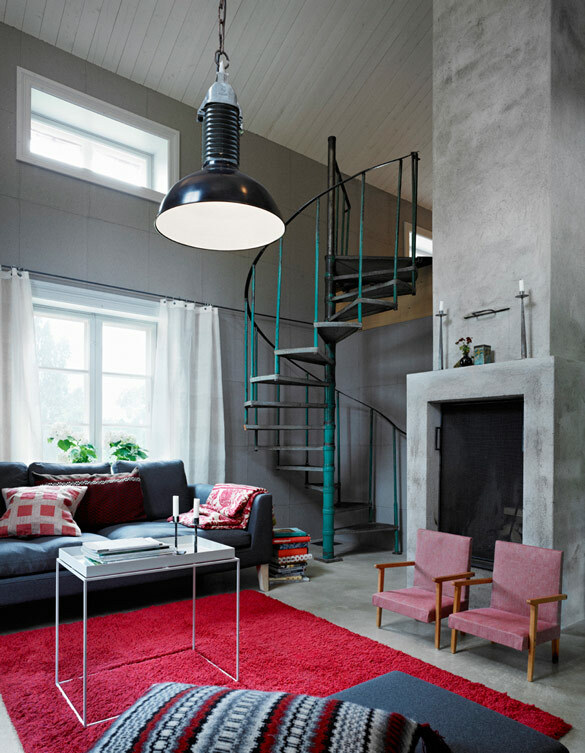 The interior is an eclectic mix of industrial and rustic elements, with a Scandinavian influence. It’s an unusual combination, but the result is very harmonious. 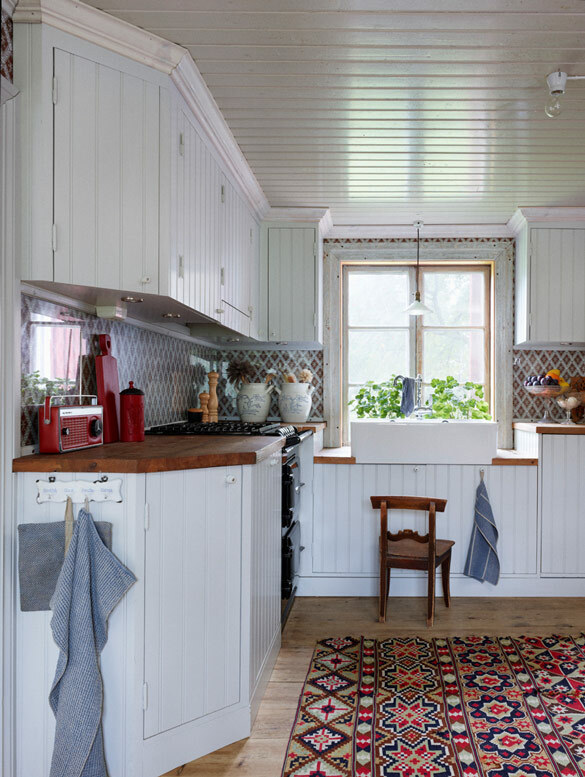 Each room has its own character and charm but they all share the same beautiful and inspiring design. 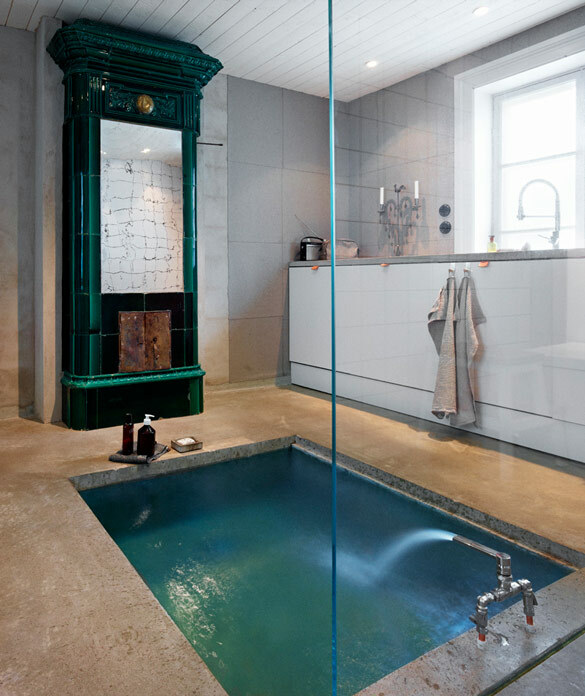 Oh, and what a bath! J’aime encore les tapis colorés!!!! C’est beau!